Tiger reserves demarcated inside forests also provide several ecosystem services. The Corbett Tiger Reserve in Uttarakhand provides value to the tune of Rs 14.7 billion annually, a study done by Bhopal-based Indian Institute of Forest Management said. Similarly, Kanha national park is worth Rs 16.5 billion annually and the Sundarbans Rs 12.8 billion annually. Joshi, who has worked extensively in the Himalayas, believes in delegating community forest management to the locals. Saying that the forest department has no culture to speak of, he stressed on cultually-inclusive forest management taken up by the community. Talking about green bonus, Joshi said that it should be handed over to panchayats. Anil Vaidya, chief conservator of forests, Himachal Pradesh, spoke on why the state is implementing forest accounts to understand their role as ecosystem services. 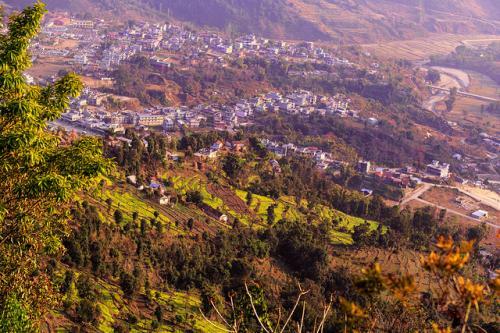 “In Himachal Pradesh, most people live in rural areas and depend on forests for their existence,” he said. Forests form the catchment of five major rivers in northern India. Being major biodiversity hotspots, forests in the state provide critical goods and services like timber and firewood. The 12th and 13th finance commission has given special grants for states having more than 50 per cent forest cover. As forest is an environmental asset, planners should realise its importance and for this reason, there is a need to quantify it, the expert added. According to Vaidya, “Only timber is accounted for (when we speak of forest value) and not pollination and other services.” There is a lack of information “on true contribution of forests to the economy”. Forests also play complementary role in agriculture and horticulture, and are a tourist attraction. Vaidya added that forest accounts would improve social allocation and sectoral planning and help monitor the state of the economy.